Besides having to pack my lunch box (almost in the dark) I managed to get some good nutrition in there. 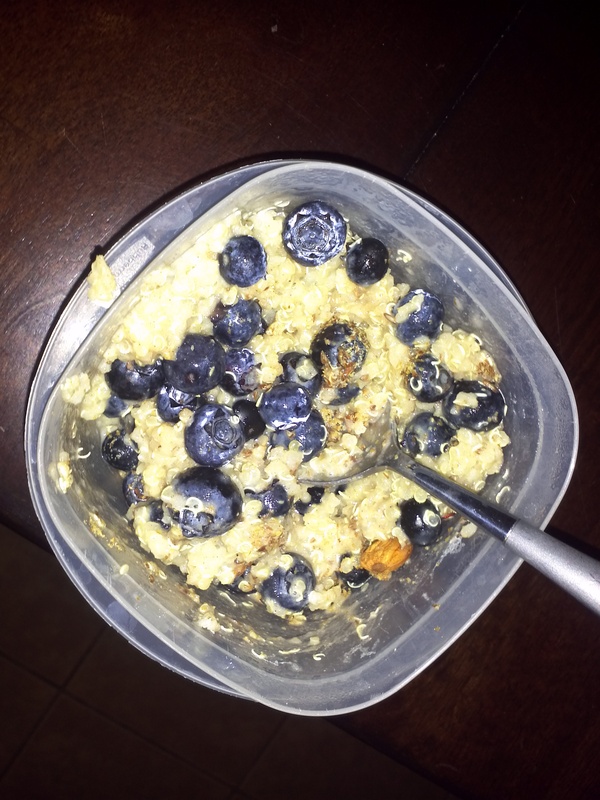 For breakfast I ate quinoa, blueberries and almond milk. Thank goodness I made a big batch of quinoa the other day or I’m not sure what I would have eaten. 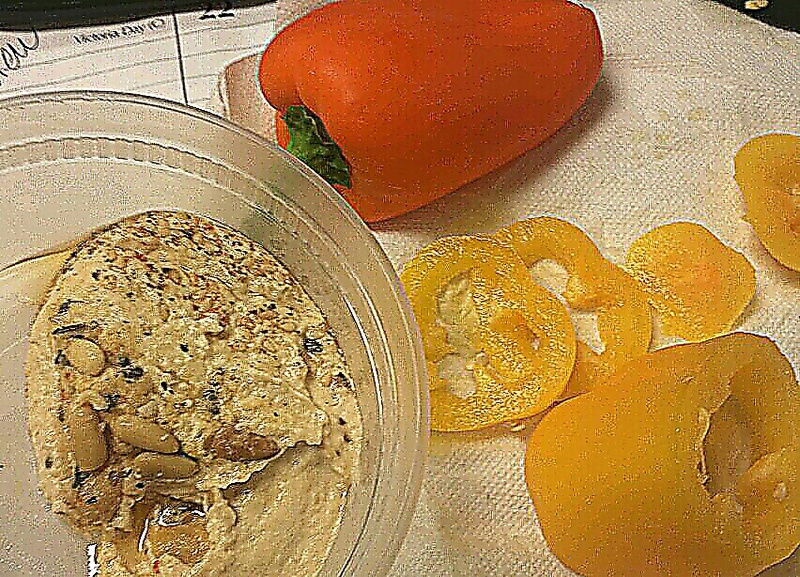 AM snack was hummus with a yellow and orange pepper – super sweet. I love these! A bit pricey but I love ’em. 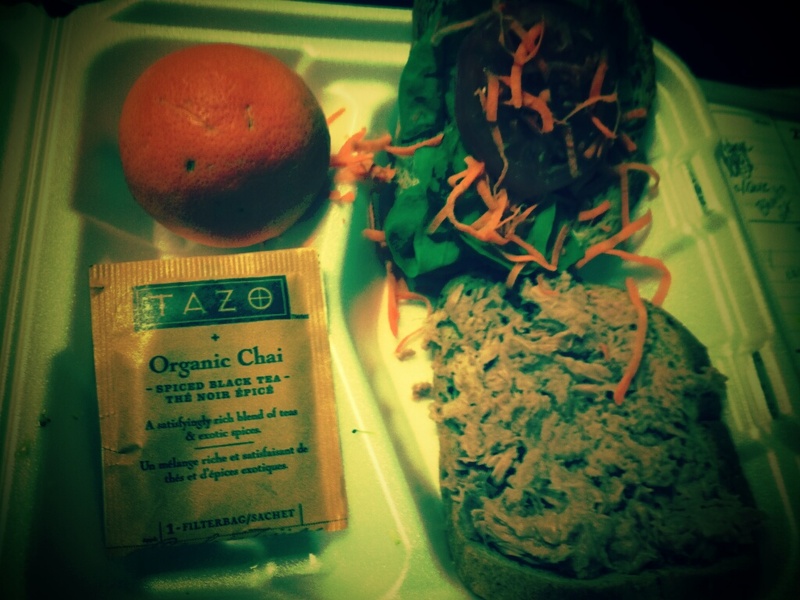 Lunch was a tuna sandwich on whole grain rye bread with veggies, an orange and chia tea. I have an intense relationship with chia tea. Just you wait. 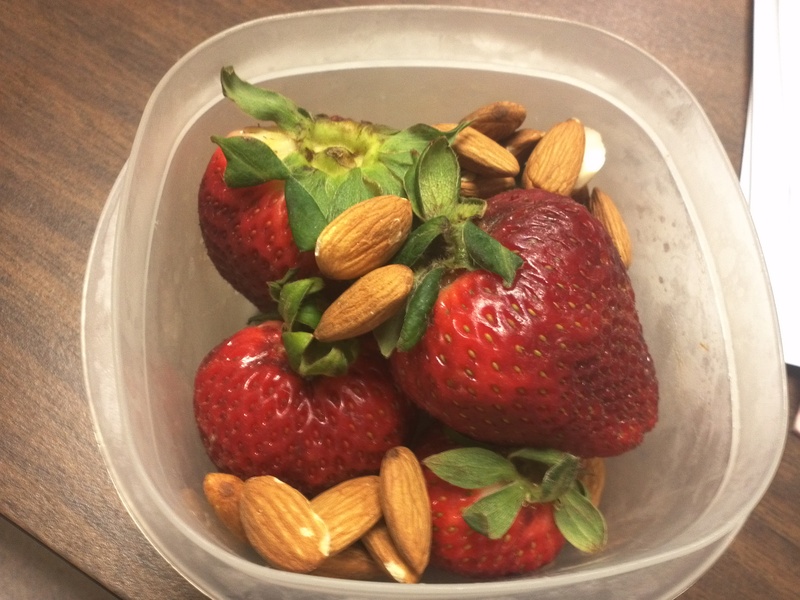 PM snack was strawberries and almonds. I ate it a little later than usual because work is keeping me super busy. Now, this is where things get non-typical. I went to pick up the kids from Nannie and Poppy (aka my mom and dad the “after-school” play house). Nannie and Poppy asked if the kids could stay and spend the night since there was no school tomorrow and to start the summer off right. What could I say….deny the kids time from their grandparents… um NO BRAINER!! Previous plans for the evening out! New plans in! New plan. 1. Trip to the gym for some cardio action. I used this treadmill routine – walking version because I have been having a big pain in my heel. I totally blame my shoes. I need new ones desperately, too many miles on them. 2. Brew Club. 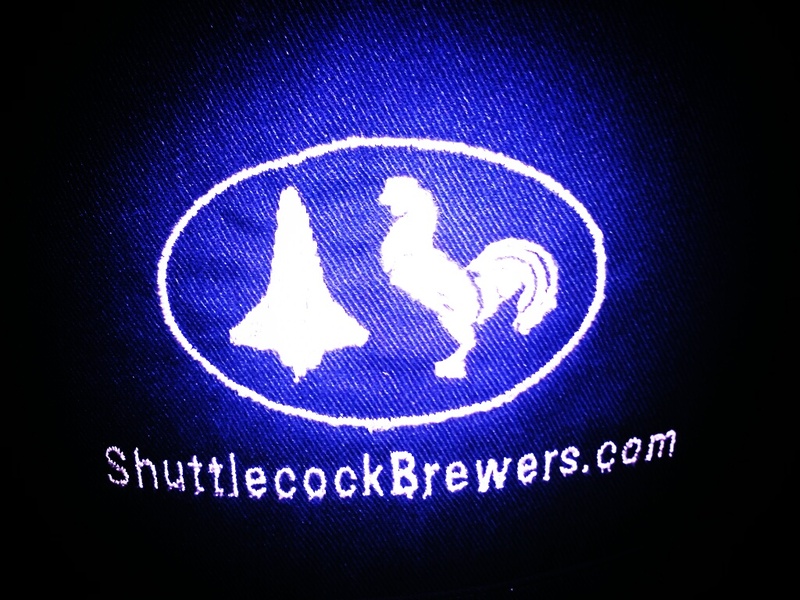 My man, Todd, is a home brewer with Shuttlecock Brewers. Every Thursday he hangs out with his buds. 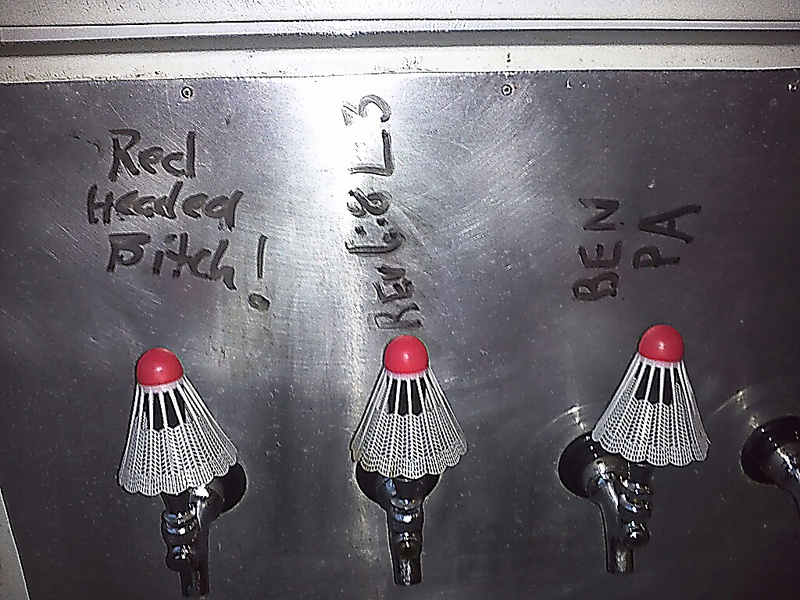 They brew/talk/drink craft beer. I rarely ever get to go so I jumped at the chance. 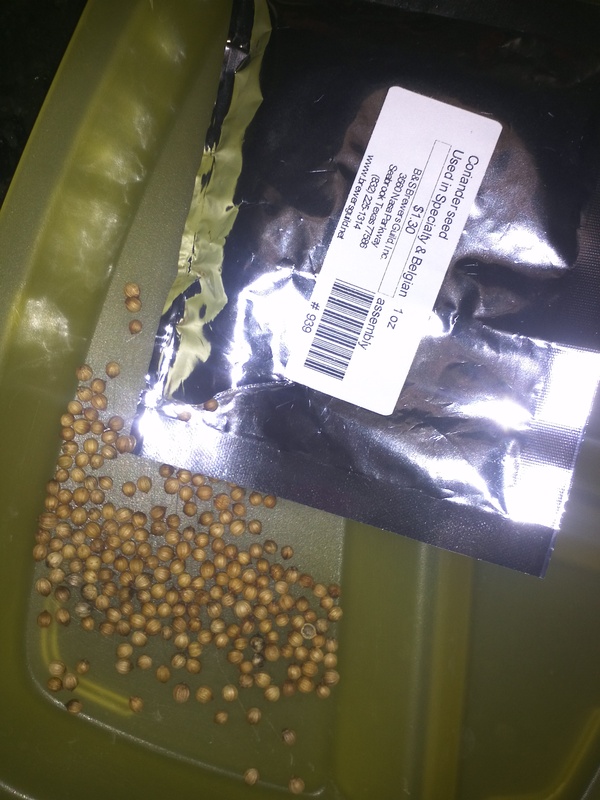 AND scored some coriander seeds from one of the guys brewing!